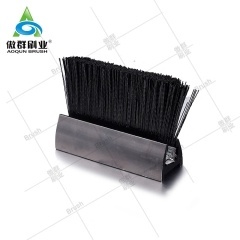 AOQUN escalator safety brush 's friction≥1 Million Times without any deformation. 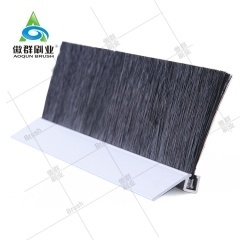 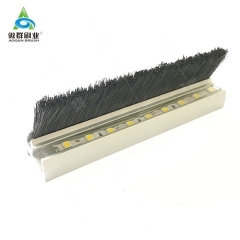 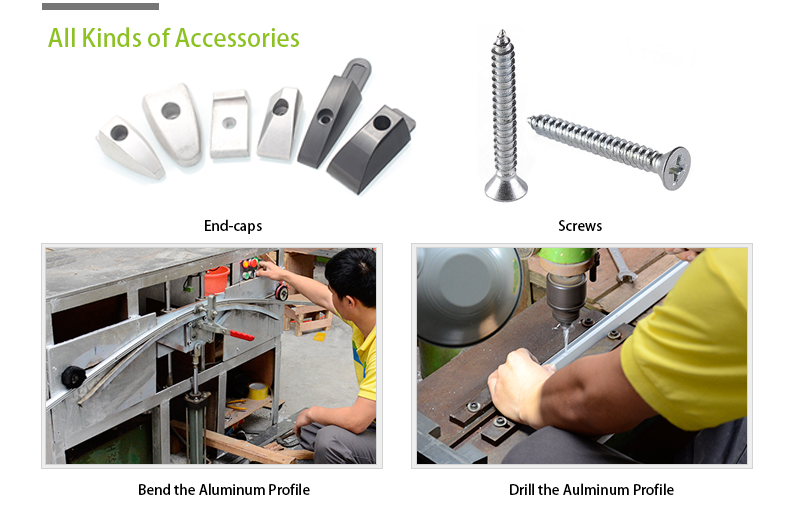 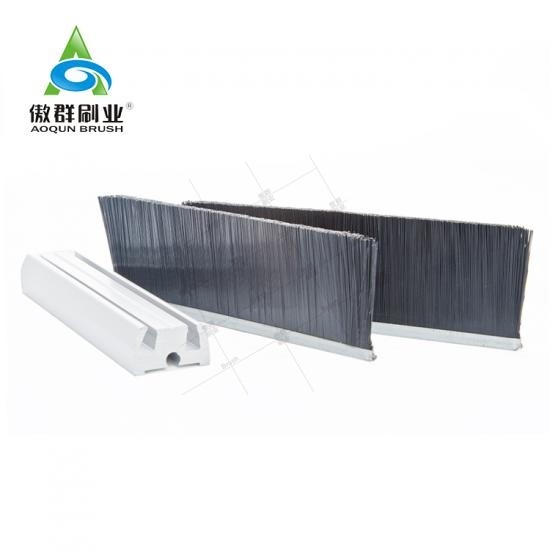 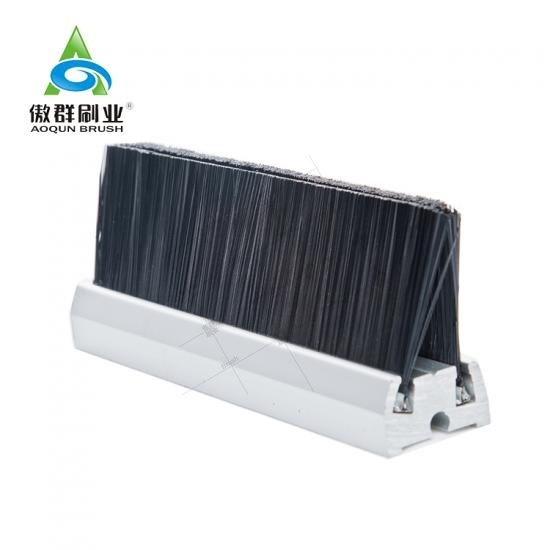 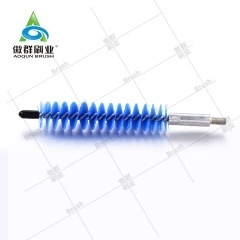 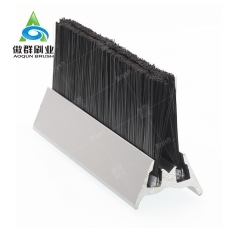 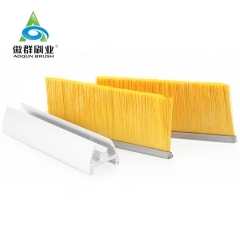 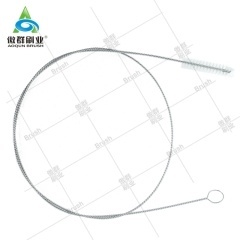 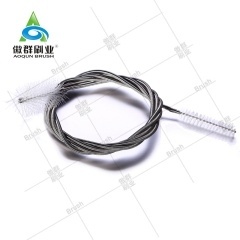 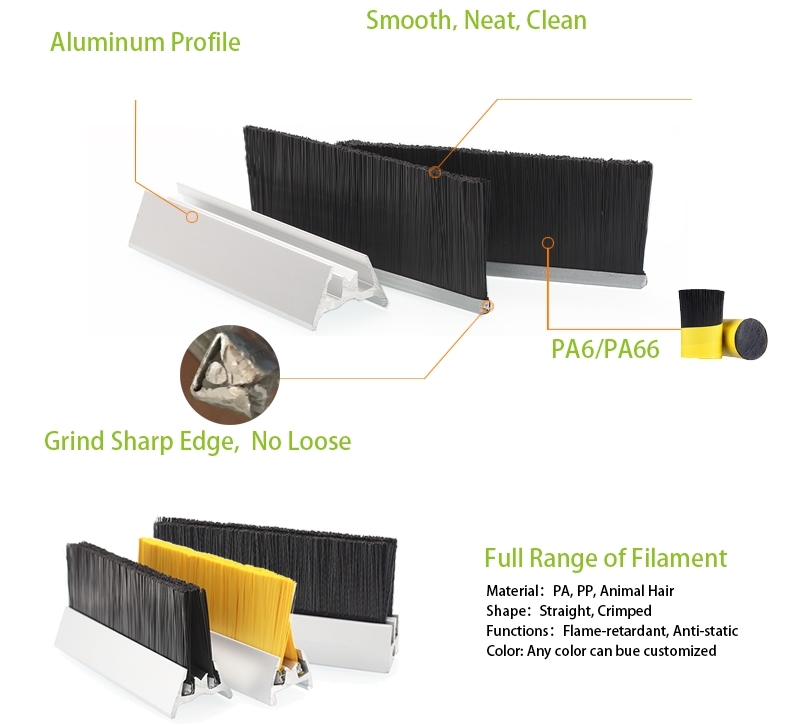 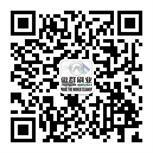 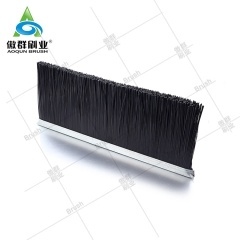 Description -AOQUN escalator safety brush is a combination of strip brush and aluminum profile. 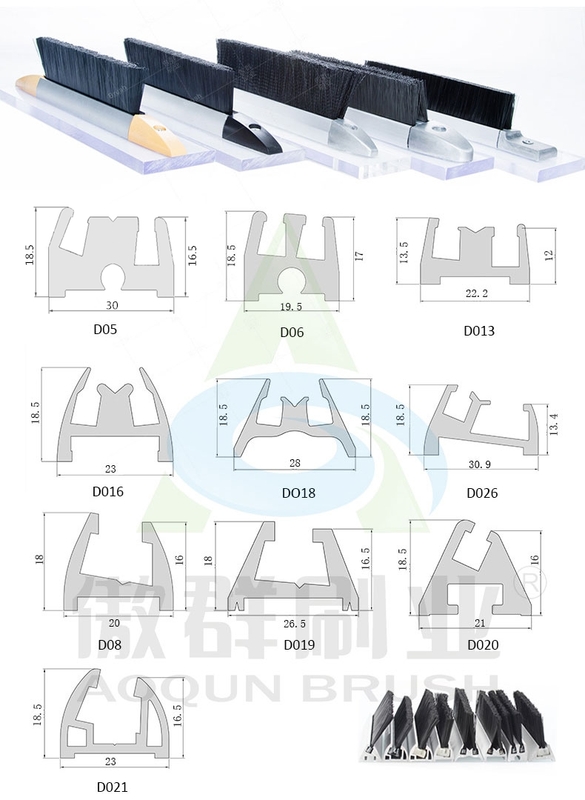 AOQUN escalator brush is designed to suit all types of escalator side walls. 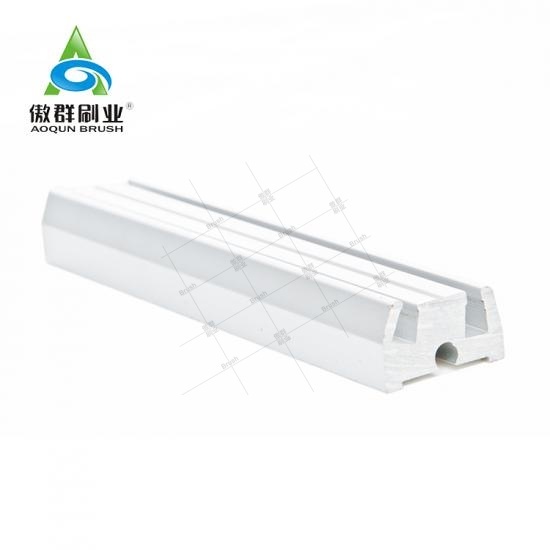 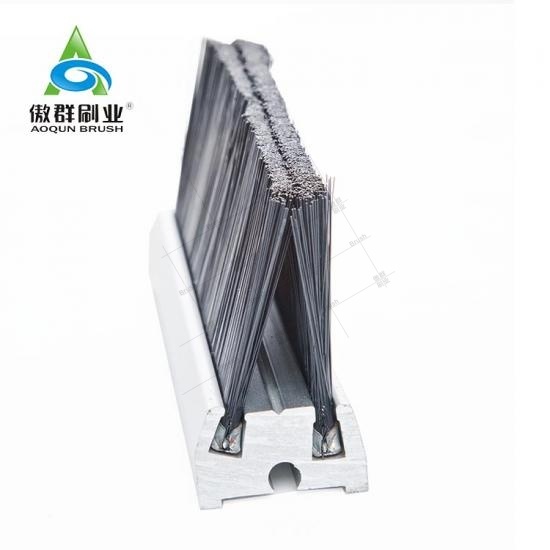 A range of quality aluminum profiles is available from single row to double row. 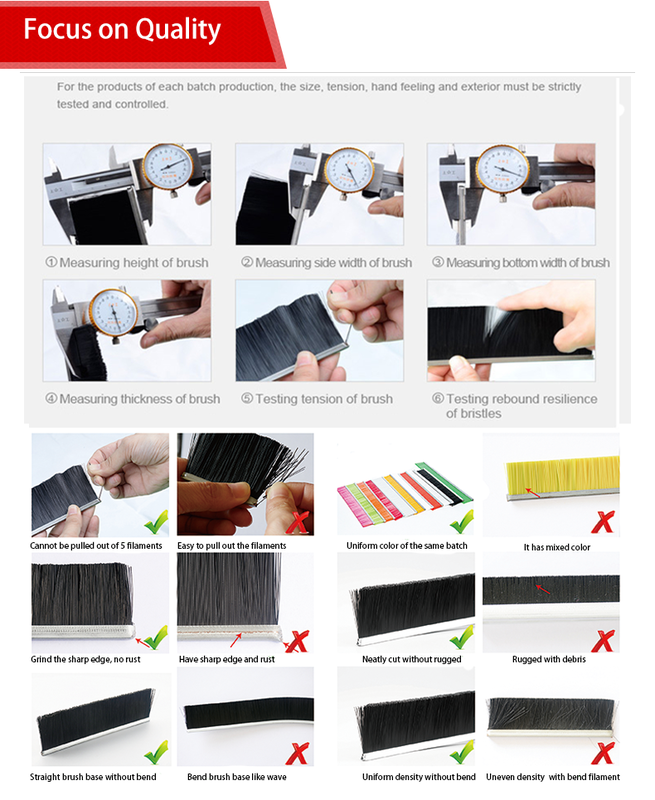 It can provide a tactile reminder to passengers to keep their feet and clothing away from the hazard zones, to reduce the risk of an entrapment incident. 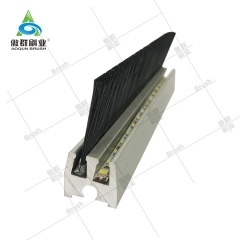 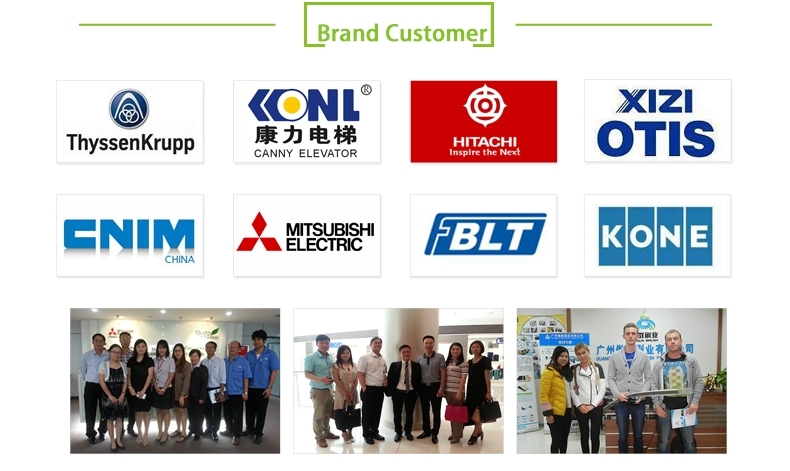 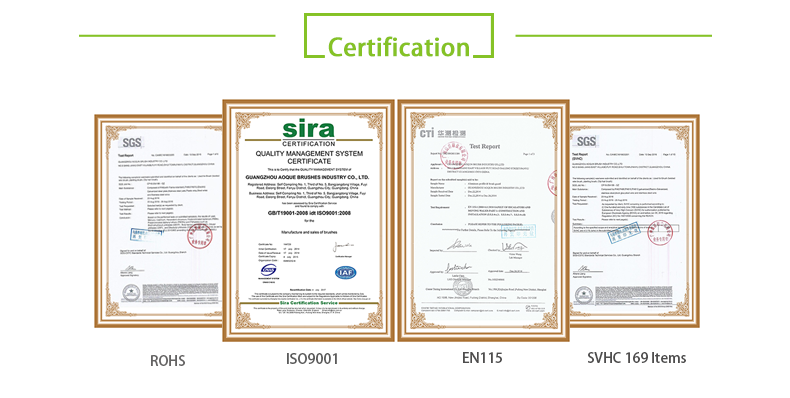 Common use for residential or commercial escalator/elevator, can be easily mounted into the escalator, easy installation and maintenance, good aesthetics and safety protection.